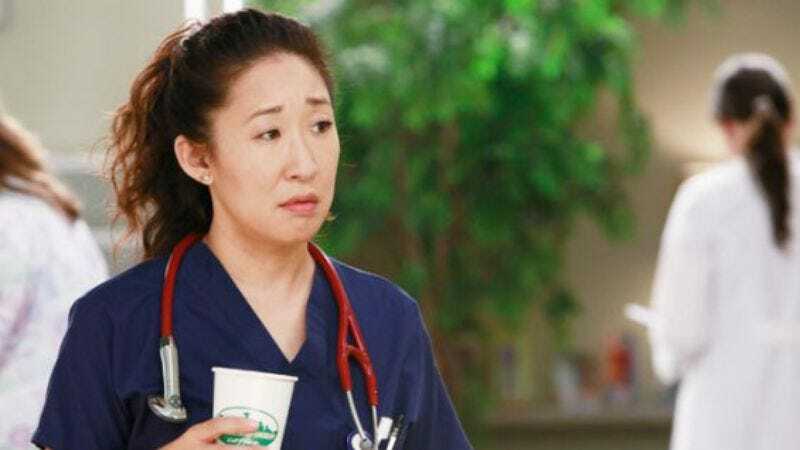 After 10 years in which the ABC soap has lost so many of its series regulars yet remains on the air, Grey’s Anatomy is now losing Sandra Oh, yet will remain on the air. Oh made the announcement today—immediately prompting numerous exclamations of “Oh really?” and “Oh, that was still on?” from jerks who don’t actually watch Grey’s Anatomy but are, perhaps understandably, surprised that it just keeps going like this, even though by this point we’re pretty sure it’s just Patrick Dempsey making out with a gurney. (Though even that may change soon.) Anyway, Oh’s character, Cristina Yang, will exit the show after the completion of the upcoming 10th season, yet ABC has once more avowed, “It's our intention to have Grey's on the air for many years to come, with as many of the original cast as possible.” Or, you know, at least the original hospital, provided it doesn't similarly start looking for other opportunities.